In Sri Lanka we can find fresh pork anywhere. 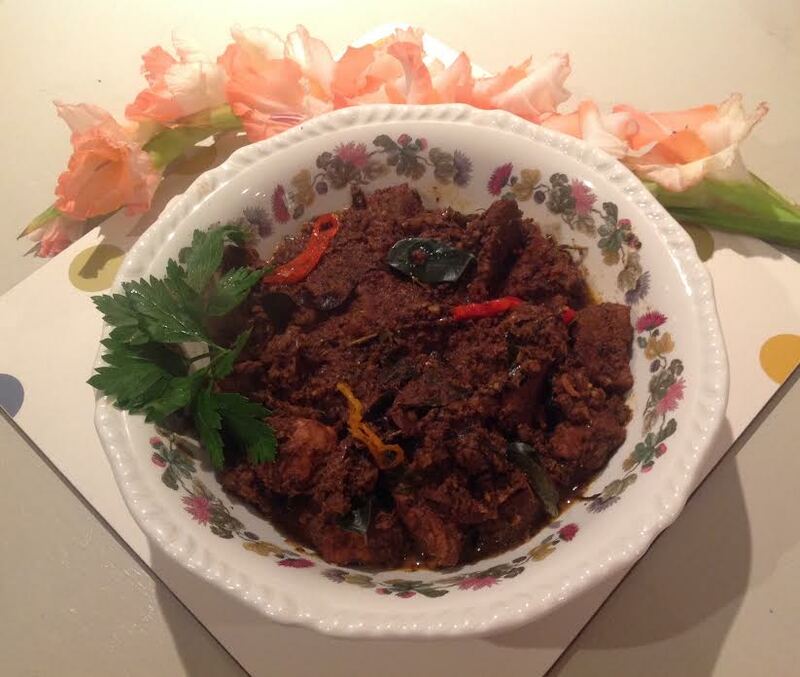 My friends really enjoy my black pork curry dish, and I have frequent requests to make it. Marinate the pork with the dry herbs and coconut. Heat the oil then sauce the onion, ginger, garlic, curry leaves, lemongrass, chilli, mustard, and cardamom. Add the pork, mix together well, pour in the water and stir. Cover the pan and cook until the gravy thickens and has absorbed into the meat. Remove from the heat, add the lemon or lime juice and check the seasoning. Serve with rice or bread. This entry was posted in Other and tagged black pork curry. Hi can we add coconut milk instead of water ? if we want little bit more gravy ?